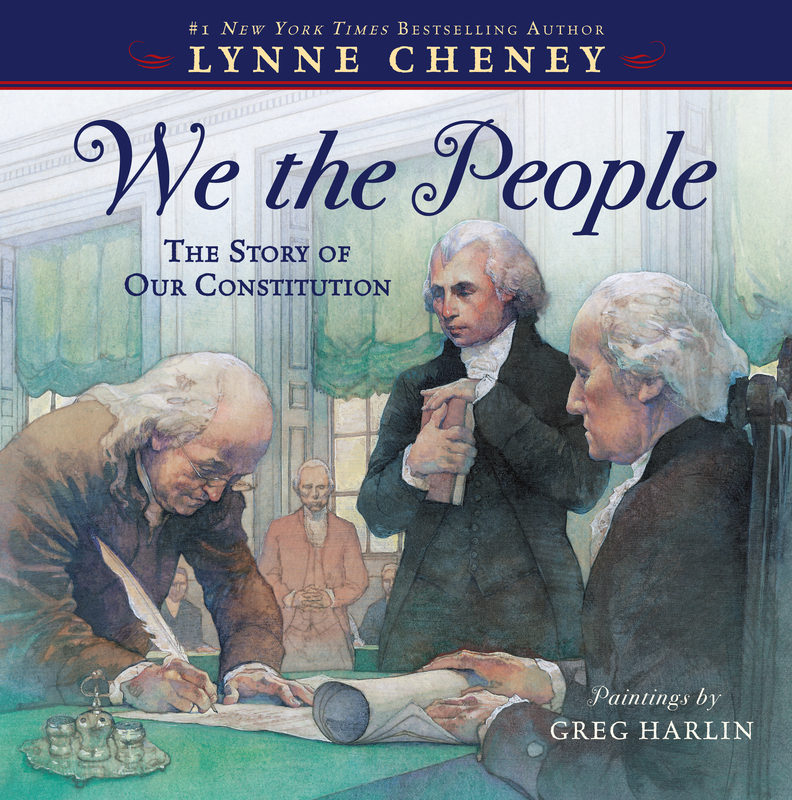 Now in paperback, Lynne Cheney’s New York Times bestselling illustrated history of how the Constitution came to be. America had won the Revolution, but our troubles were far from over. The thirteen states were squabbling, the country could not pay its bills, and in Massachusetts farmers had taken up arms against the government. Was our country, which had fought so hard for its independence, going to survive? In May 1787 delegates from across the country—including George Washington, James Madison, and Benjamin Franklin—gathered in Philadelphia and, meeting over the course of a sweltering summer, created a new framework for governing: the Constitution of the United States. Their efforts turned a shaky alliance of states into a nation that would prosper and grow powerful, drawing its strength for centuries to come from “We the people” and inspiring hope for freedom around the world. Now in paperback for the first time, this richly illustrated tale of a crucial point in our nation’s history will enthrall readers young and old. 1. Before reading this book, what did you imagine America was like after George Washington’s troops defeated the British at Yorktown in 1781? Explain the difficulties Americans faced following their Revolutionary War victory. 2. Delegates from how many states came to the 1787 convention in Philadelphia? How many days did it take to gather enough delegates to begin? Do you think this is different from present-day political conventions? Why or why not? 3. What was James Madison’s bold idea for the new Constitution? How did the words of the toast suggest that Washington’s attendance at the convention might make it more successful? 4. Describe the Virginia Plan developed by Madison and his fellow Virginians. How was the government broken down into branches? What was the main objection to the plan? 5. Who was Ben Franklin? What do you think about Franklin’s literary and scientific accomplishments from your study of American history? Did you know he was part of the Constitutional convention? How did Franklin encourage convention delegates to compromise? 6. What was the Great Compromise? What incentive did it offer to large states to encourage their agreement? What compromise over slavery did the delegates do while this committee completed its job? 7. How did the delegates decide the president should be elected? 8. What was the job of the Committee of Style and Arrangement? Before reading this book, did you realize how many discussions and steps were required to create the Constitution? Were you surprised by the complexity and difficulty of the project? Why or why not? 9. About how long did the convention last? Did it run nonstop? Did representatives from all the colonies sign the document? Who was first? 10. Did the Constitution become America’s governing document as soon as it was signed? What had to happen next? 11. What did the people of Philadelphia decide to celebrate on July 4th, 1788? Does their celebration remind you of July 4 celebrations in your community? Why or why not? 12. How many Constitutional convention delegates had you heard about before reading this book? Which delegates did you first discover through reading this book? What was the most surprising thing you learned about the Constitutional convention? 13. Is the United States of America perfect today? In what ways might we make our nation better? What part could the Constitution play in these improvements? 1. 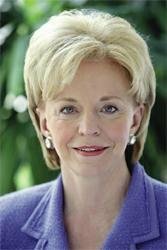 The author describes the British army’s shock at their Revolutionary War defeat, noting that the song they played at their surrender was called “The World Turned Upside Down.” Folk songs have played an important role in reflecting America’s mood at key moments throughout her history. Visit the Library of Congress Performing Arts Encyclopedia’s online collection of patriotic melodies at http://lcweb2.loc.gov/diglib/ihas/html/patriotic/patriotic-home.html. Write a short report about one song, its origins, and what it says about America at the time it was written. Give a short talk about your report, including playing or singing your chosen song for friends or classmates. 2. Visit the University of Richmond’s Constitution Finder at http://confinder.richmond.edu/ to find historical and modern constitutions created by nations around the world, some inspired by the United States Constitution. Read and compare the opening sentences (or entire documents, if desired) of two or more constitutions. With classmates or friends, brainstorm a list of reasons why it is good for a nation to have a constitution, and another list of what you think are the most important parts of a constitution. 3. Try writing a constitution for your school or classroom. First, decide what you want to accomplish in your constitution and how you will organize a “convention” to reach your goals. Create a committee to write the finished document for everyone in the class to sign. Afterward, discuss the challenges and rewards of writing a constitution. 4. Individually or in small groups, make a collage of words, phrases, images cut from old magazines, drawings, and other materials showing what the Constitution of the United States of America means to you, including the words “We the People” as a title or artistic element in your collage. Share your finished collage with friends or classmates. 5. George Washington was one of America’s first great heroes. Read one or more biographies of Washington. Visit the website of Washington’s historic home, Mount Vernon, at http://www.mountvernon.org. Use your research to create an informative poster about Washington, including his portrait as drawn by you, a time line of key events in his life, and a paragraph about his role in the creation of the Constitution. 6. Look through the book to create a list of some of the people involved in the Constitutional convention, including George Washington, Benjamin Franklin, James Madison, and James Wilson. (Hint: Be sure to include the names listed in the quotations at the bottom of each page.) Distribute copies of your list to classmates, asking each to circle the names of the people he or she knew something about before reading We the People. Compile this information in a bar or pie chart showing which historical figures are familiar to the greatest number of students in your class and which are the least known. 7. Make a biographical fact card for each historical figure you listed in the activity above, including dates of birth and death, greatest accomplishment(s), and a quotation if possible. If desired, use the cards for an American biography trivia bee. Add cards for people from other historical periods and other nonfiction books throughout the year. 8. With friends of classmates, role-play a conversation between Dr. Franklin and convention delegates discussing the importance of compromise in writing a constitution. 9. Imagine you are the son or daughter of one of the Constitutional convention delegates. Write a letter to your father describing what it is like waiting for him at home and encouraging him to do his best at this important meeting. Or, in the character of one of the convention delegates, write a letter to your family at home, telling about your efforts to help write a constitution for the new country. 10. During a break in the highly stressful convention schedule, George Washington went fishing. Take a moment to look at the book illustration which shows Washington with his fishing rod. Where do you go, or what do you do when you want to relax, reflect, or just be alone? Use watercolors to paint a picture of your quiet place. If desired, combine your picture with those of friends or classmates and discuss the similarities and differences between the special places you have depicted. 11. Although the Constitution did not use the word slaves, it allowed slavery to continue until 1865, when the Thirteenth Amendment was added after the Civil War. Go to the library or online to research the history of the Thirteenth Amendment to the United States Constitutional the important historical figures involved in the movement to abolish slavery. Present your research as an oral report to friends or classmates. 12. Hold a Constitution Day in your classroom or community. Dress in eighteenth-century costumes and serve food that was popular during this time. Read the Constitution aloud. Get ready for the Fourth of July. Outline a plan for a parade. Make a list of patriotic songs, old and new, to play or sing (or write one of your own). Sketch a design or build a small-scale model for a monument celebrating your Constitution and country. 13. Design an informative, illustrated booklet for kids your age entitled “What Every Kid Should Know About the United States Constitution.” Include an introductory paragraph about the importance of having a constitution, a time line of Constitutional convention events, facts you learned from reading We the People, and other fun and important details. If possible, make copies of your booklet to share with friends, classmates, or community members.